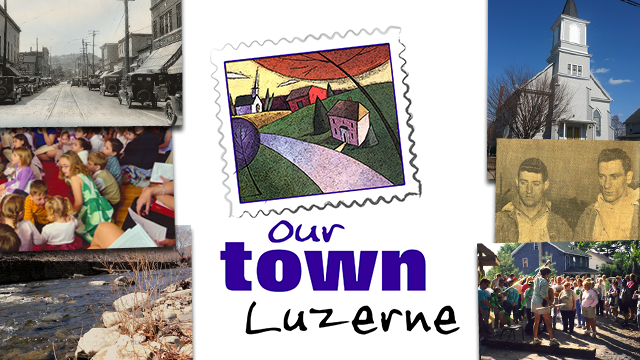 The tiny borough of Luzerne was an industrious town during the early 20th century offering opportunities in flour and feed mills. It provided a safe “neighborly” atmosphere to raise a family. Generations later, some of the same names reside in Luzerne forging a future of hope and renewal. Walk along Toby’s Creek and get back to nature on the trail to the Back Mountain. Enjoy old-fashioned customer service in new and eclectic Main Street Shops. Hear stories of the heroic Connolly Brothers, recipients of the Carnegie Medal of Honor and relive the glory days of Rocky Castellani’s boxing career recounted with enthusiasm and pride. Welcome to Luzerne. Luzerne County’s little borough nestled in the “Valley With A Heart”.